Would you like to have your own herb garden to make your meals even more delicious? Have you tried it yet without success? Sometimes I consider to rent my yard, but then again, I think about all the herbs I can grow there and I’m still more interested in keeping it. To help you with your own “kitchen garden” project, I’ve prepared several tips on growing and using some of the most popular “cuisine” herbs: basil and coriander. Basil – It is surely among the most popular herbs used for preparing meals around the globe. Well-known for specific clove-like aroma and flavor similar to anise, basil is used for cooking, fresh or dried. Also, it’s used as a deodorizer, insect repellent, anti-inflammatory remedy etc. Sweet basil is rich in vitamins C, A and K, as well as some minerals such as magnesium, calcium, potassium and iron. You can grow basil from seed, if you sow indoors in the early spring. After the danger of frost passes, transplant it outdoors. It’s possible to grow basil from clippings too. Germination lasts five to 10 days; the herb is very frost sensitive, so next year you have to grow it again. In hotter climates, basil prefers afternoon shades and morning sun, while in mild climates full sun is completely alright. 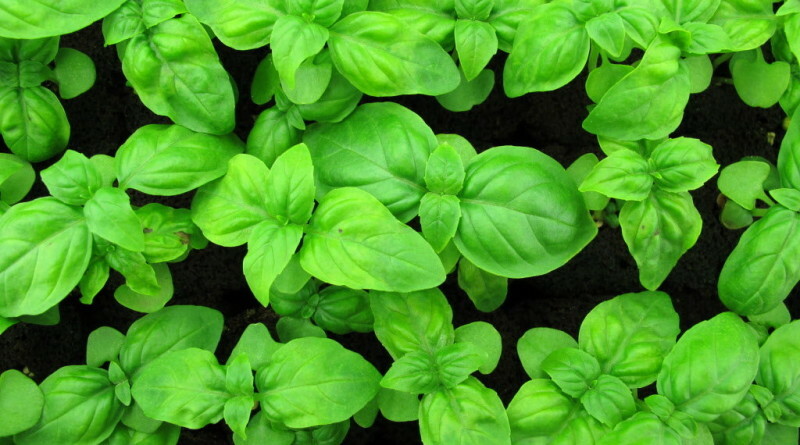 When it comes to soil conditions, basil calls for well-drained, moist and rich soil. You can harvest your basil in approximately 10 weeks. Coriander or Cilantro – Incredibly rich in vitamin C, as well as other vitamins and minerals, cilantro is a revitalizing herb that helps soothe gastrointestinal issues. It’s known to positively affect blood sugar levels too. But, people use it for its flavor in the first place. Its powerful aroma and flavor makes coriander an excellent herb for seasoning meats, salads, salsas and soups. By sowing seeds directly outdoors during warmer seasons (spring or summer), you can grow cilantro/coriander on your own. Clip dried brown seed stalks and place them upside-down in a paper bag when you decide to harvest your coriander. In a few days, see pods split and the coriander seeds get released. To prevent fungal infections, it’s crucial to keep your plant tidy. Therefore, clean up debris and leaves from around cilantro. Germination takes approximately 7 to 10 days and the soil has to be well drained. You can harvest your coriander in 3 or 4 weeks.